Samuel Smith’s is Yorkshire’s oldest brewery, and the last to use the classic Yorkshire Square system of fermentation. 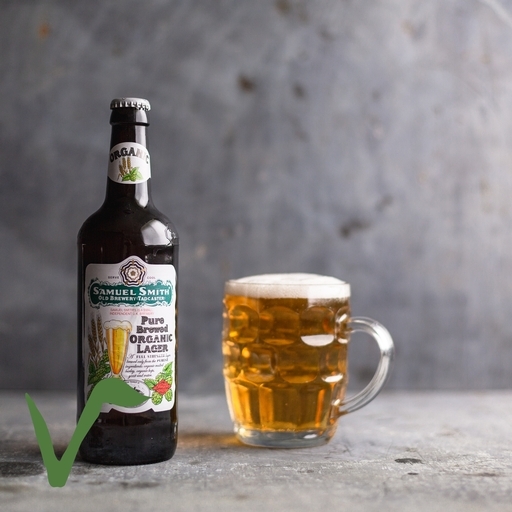 Their organic pure brewed lager is a real crowd pleaser, brewed with great care and matured at low temperatures to bring out its delicate flavour and soft, hoppy finish. Beer’s answer to fresh-mown hay on a summer day. Water*, malted barley, yeast*, hops, carbon dioxide*.